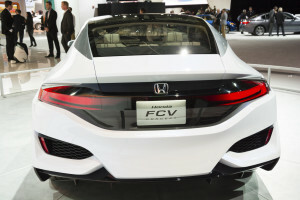 Honda on Monday announced the automaker itself had designed two new courses available through I-CAR, a move which the repair education platform’s CEO said he’d like to see duplicated by other manufacturers. Unlike recent partnerships with other manufacturers — notably, Ford on aluminum F-150 training offerings — to develop course material together, the two classes were prepared exclusively by Honda, a first for I-CAR. Details are now available on the Inter-Industry Conference on Auto Collision Repair’s website at www.i-car.com/hondatraining. A third course, “Collision Repair for Honda and Acura Vehicles” is also available from the I-CAR Honda course portal. Unlike the other two, this three-hour course gives I-CAR credit hours. It appears to duplicate some of the information in the other courses and provide other training as well. The Honda courses give a shop credit towards becoming ProFirst-certified — though they don’t count toward a shop achieving Gold Class. The opposite is true for I-CAR’s class. So what should you take? Van Alstyne said in an interview Monday that such OEM courses are meant to complement I-CAR’s own training — which was meant to give a greater level of detail and best practices — rather than duplicate it or compete with it. He said I-CAR would like to see more classes of the kind from other manufacturers. “I’m kind of hoping that this will waken some of them up,” Van Alstyne said. He said I-CAR would evaluate future classes for possible Gold Class credit. The two Honda classes are an hour long and were built using I-CAR’s back-end system for inclusion on the site. “Using Honda and Acura Service Information” explains how to obtain and use factory repair information via ServiceExpress — and how that data might be different for independent shops and dealership ones. “Honda and Acura High-Strength Steel Repair” examines high-strength steel becoming more and more common in vehicles, how to do structural repairs and welding, and what Honda recommends for repairing damage to high-strength steel components in Hondas and Acuras. According to Honda, more than 59 percent of its new vehicles’ white bodies are high-strength steel, so repairers should get up to speed on the metal if they haven’t already.